What is Face/Neck/Chin LiftSurgery (Rhytidectomy) for Men? It is generally thought that the cosmetic surgery is only for women, however nowadays it’s perfectly acceptable for men to also undergo the procedure. The face is one of the parts of the body where signs of ageing are most evident. As we get older, our skin naturally loses some of its elasticity, and our facial muscles may weaken. As a result, the skin hangs differently, forming folds and creases. These lines can turn into deep wrinkles as time goes by. A facelift surgery or Rhytidectomy consists of tightening and lifting the skin around the neck, chin, cheeks and eyes in order to achieve a longer lasting and wrinkle-free result. Facelifts surgery for men can, similar to women, gives a rejuvenation of the facial skin and tissue. Male facelifts can smooth out facial wrinkles and deep furrows, thus reducing the signs of ageing and removing signs of a stressful lifestyle. Men’s skin must have some elasticity to benefit from the facelift surgery similar to women. The male facelift procedure is similar to women facelift, however due to men shorter hair, incisions are harder to hide which is easier to camouflage in women due to longer hair. A facelift can be combined with other surgical operations, such as blepharoplasty (eyelid/eyebag correction) or rhinoplasty (nose correction), depending on your requirements. This treatment can be performed on the entire face (a ‘complete facelift’), or just in specific areas, particularly the forehead and neck (‘mini facelift’). After the surgery, the patient may suffer some discomfort as a result of swelling and the lack of facial mobility. However, this discomfort is usually moderate and it disappears before long. Your surgeon may recommend that you take over-the-counter pain relief medicine such as paracetamol. After a few days, the bandages are removed, and after two weeks the patient can go back to their routine activities. They should avoid prolonged exposure to the sun for several months after treatment. As with any surgery, there is the small risk of complications with facelift surgery. At the time of your consultation, the expert we refer you to will take you through the risks in detail so that you can take an informed decision. They will not push you for surgery. They will give you all the time and guidance you need to take a decision. They will give you a comprehensive Facelift Patient Guide to take home with you. This will answer most of your queries and concerns. If you have any further questions, you can give them a call and they will provide their expert advice. You will love them for their honesty, integrity and professionalism. A facelift is often performed with other procedures. Depending on the complexity of the procedure, the surgery can take between 2 and 5 hours. The results of a facelift will last for a number of years. However, following this procedure, your skin will continue to age and sag. There are a number of non surgical procedures that can help with anti ageing such as wrinkle smoothing, skin plumpers and non surgical facelifts. However, the surgical facelift will give the most dramatic and longer lasting results. Yes, facelifts are often combined with other facial procedures such as nose correction and facial implants. You can discuss this in full at your free consultation. All clients must be at least 18 years of age to have surgery. We would not normally offer this procedure to women under the age of 40. We do not set an upper age limit for our procedures, suitability for surgery will be discussed at your free consultation with your surgeon. 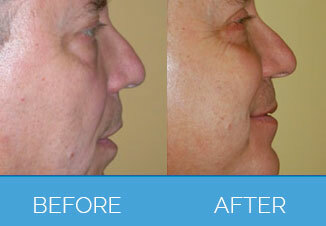 There are no patient stories for Male Facelift. Any form of cosmetic enhancement is very personal, so prices are bespoke dependent on your individual needs. As a rough guide, you can expect to pay £1650 – £9500.